This PremiumCord cable boasts the best quality of workmanship and materials used. This is an interface cable based on the USB 2.0 standard. It is equipped with type A and B micro connectors. The cable enables the transfer rates of up to 480 Mbps. With this cable, you can easily connect your mobile phone or another device with your computer. In addition to the data transfer, it can also be used for charging and so on. 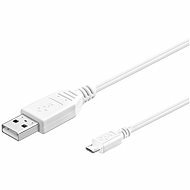 For shipping to other EU countries visit this page PremiumCord USB 2.0 interface A-B micro 5m white. 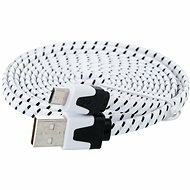 Für Versand nach Deutschland, besuchen Sie bitte PremiumCord USB 2.0-Schnittstelle Mikro-AB 5 m. Chcete doručit zboží do Česka? 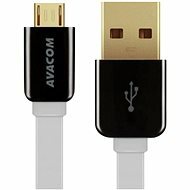 Prohlédněte si PremiumCord USB 2.0 propojovací A-B micro 5m bílý. Chcete doručiť tovar na Slovensko? Prezrite si PremiumCord USB 2.0 prepojovací A-B micro 5 m biely. 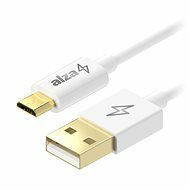 Für Versand nach Österreich, besuchen Sie bitte PremiumCord USB 2.0-Schnittstelle Mikro-AB 5 m. Magyarországra történő kiszállításért tekintse meg ezt a termékoldalt: PremiumCord USB 2.0 adatkábel mikro AB 5 m - fehér.